The Argyle design is a gem. The external view of the home is well presented and can be accented with the extra options of changing the external building materials or accenting different walls with paint colours. 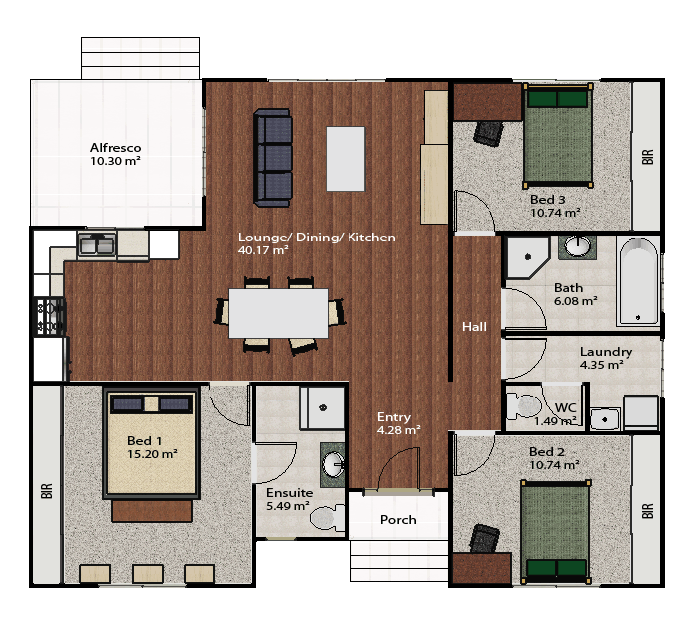 The Argyle offers a large ensuite from the main bedroom. All bedrooms have built in robes. Entertaining in this home is easy with the alfresco area situated close to the kitchen and lounge room.